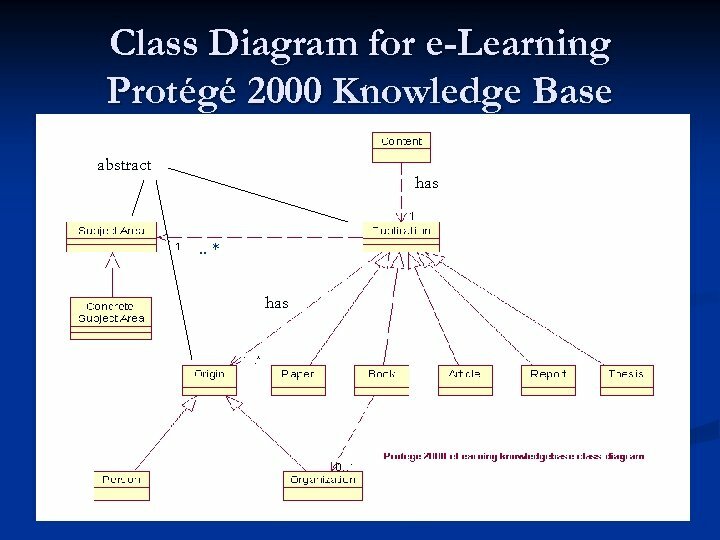 Constructing Knowledge Bases for E-Learning Using Protégé 2000 and Web Services Presented by: Fuhua Oscar Lin Authors: Mike Hogeboom, Fuhua Oscar Lin, Larbi Esmahi Athabasca University, Canada Chunsheng Yang National Research Council, Canada AINA 2005, Tamkang University, Taipei, March 29 -30, 2005. 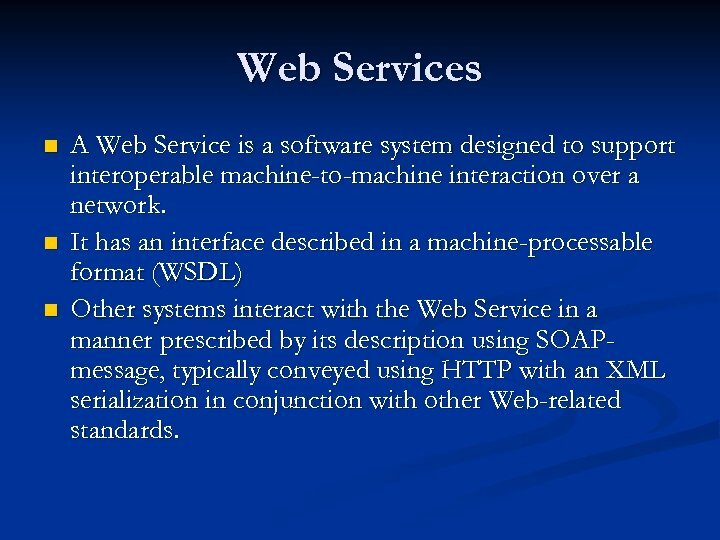 Web Services n n n A Web Service is a software system designed to support interoperable machine-to-machine interaction over a network. 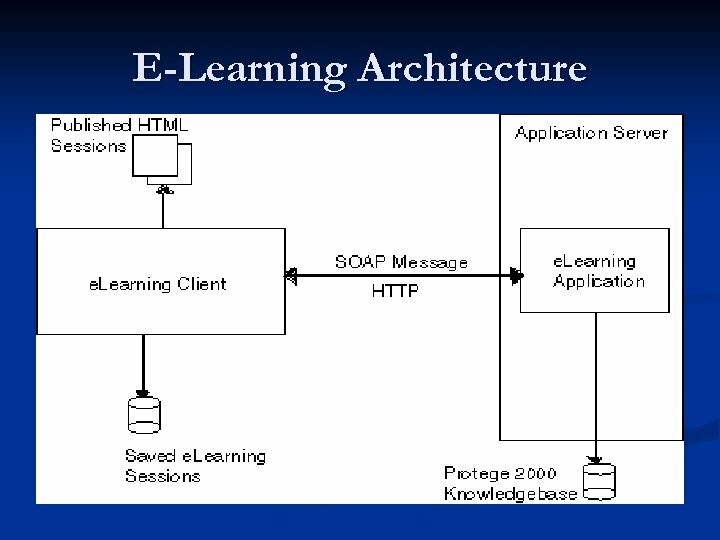 It has an interface described in a machine-processable format (WSDL) Other systems interact with the Web Service in a manner prescribed by its description using SOAPmessage, typically conveyed using HTTP with an XML serialization in conjunction with other Web-related standards. 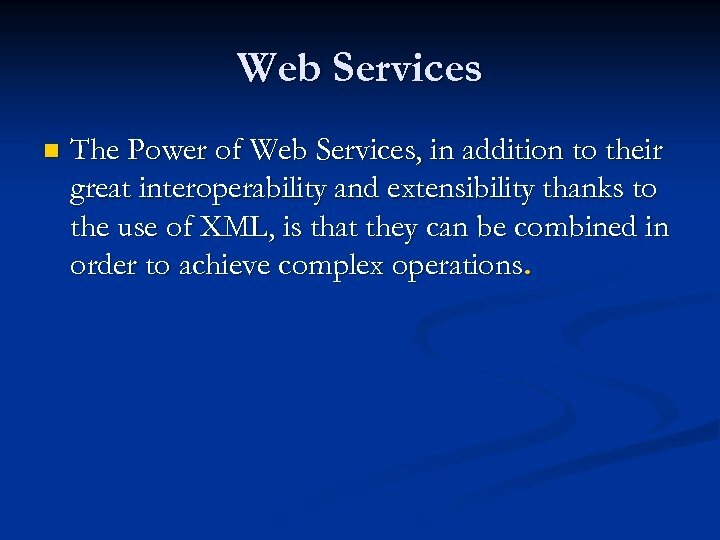 Web Services n The Power of Web Services, in addition to their great interoperability and extensibility thanks to the use of XML, is that they can be combined in order to achieve complex operations. 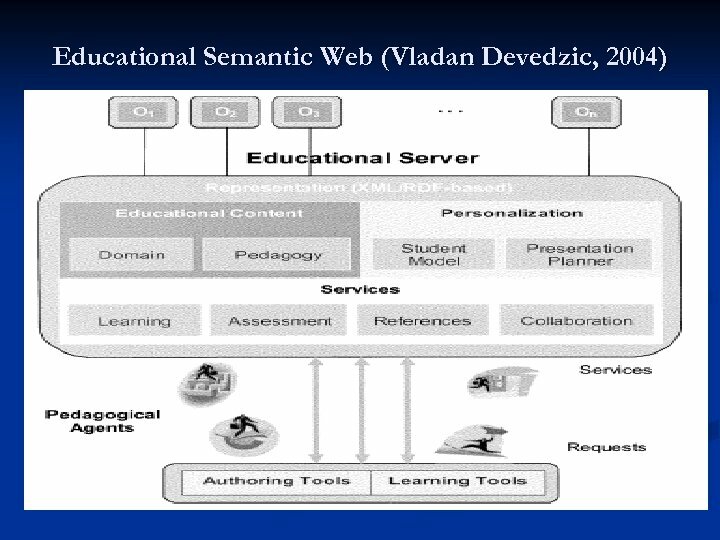 Ontologies in e-Learning n Domain Ontology: describes the basic concepts of the domain in which learning takes place (e. g. history or computer science). 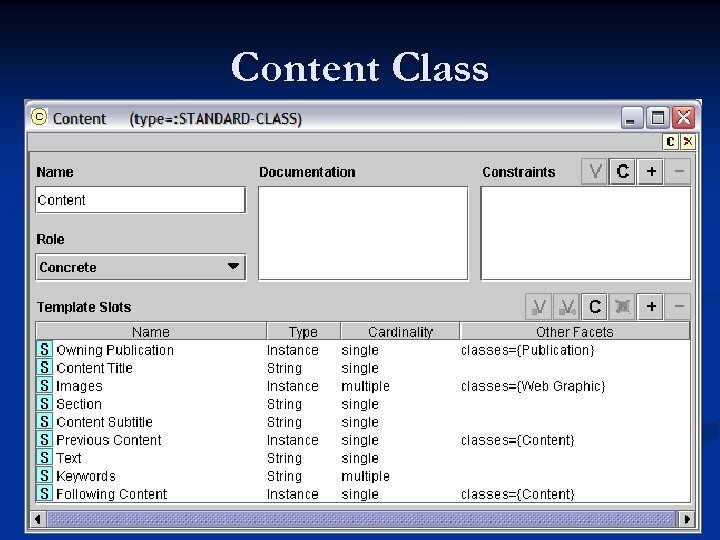 It includes also the relations between these concepts, and some basic properties. 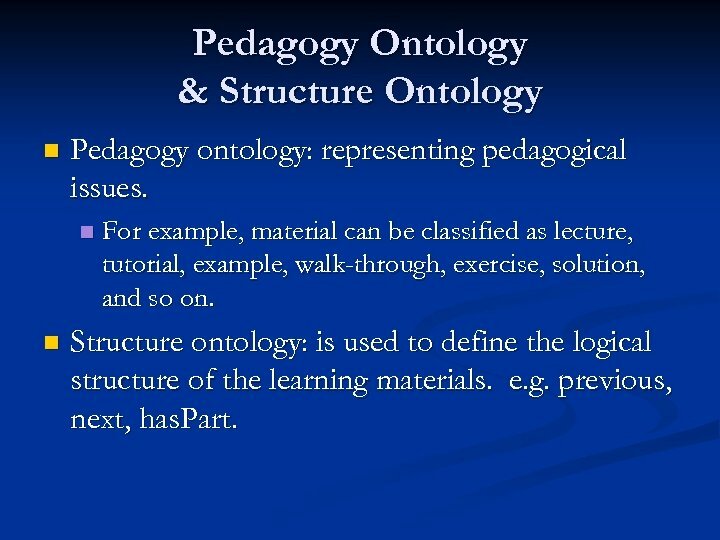 Pedagogy Ontology & Structure Ontology n Pedagogy ontology: representing pedagogical issues. 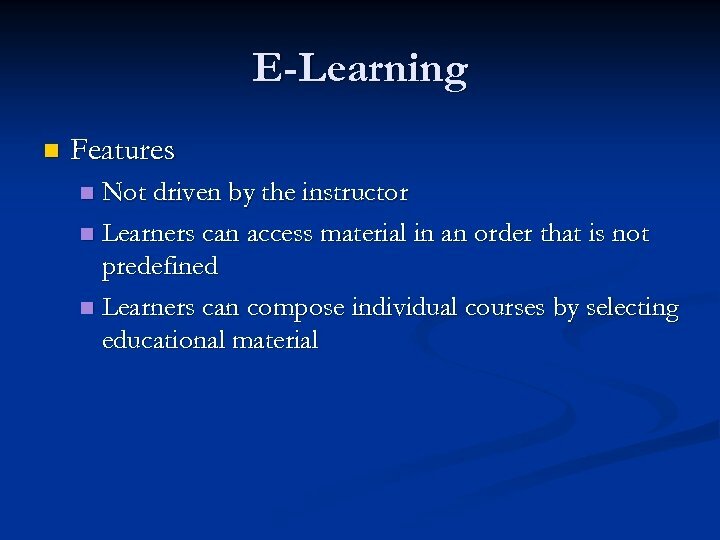 n n For example, material can be classified as lecture, tutorial, example, walk-through, exercise, solution, and so on. 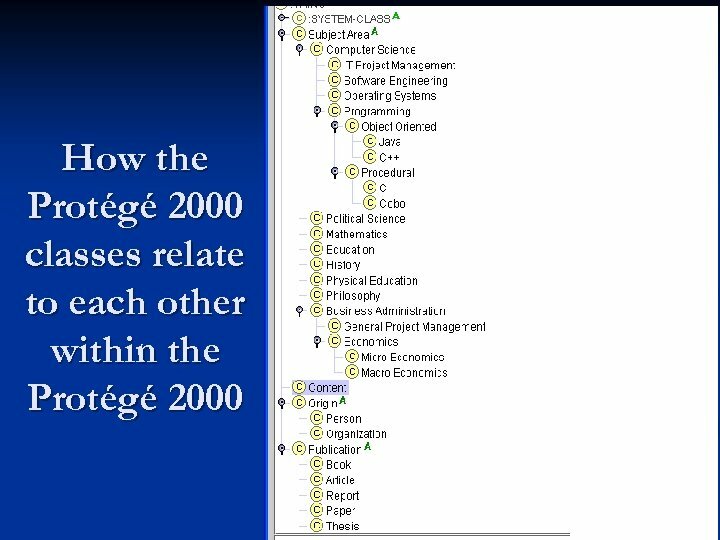 Structure ontology: is used to define the logical structure of the learning materials. 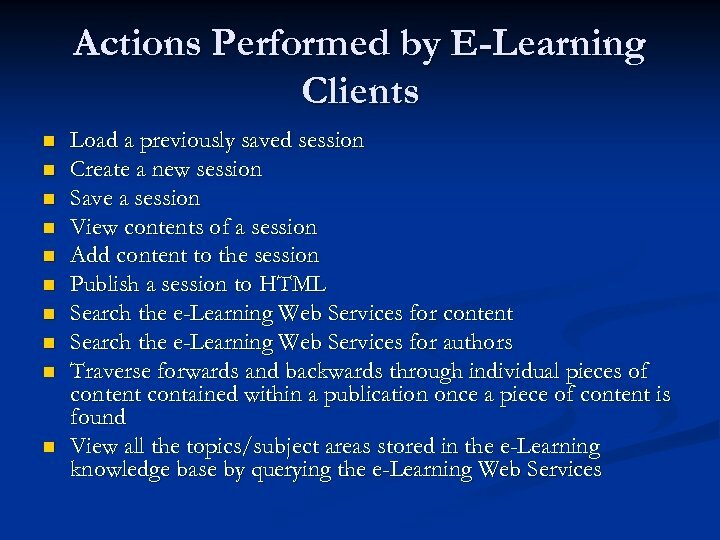 e. g. previous, next, has. 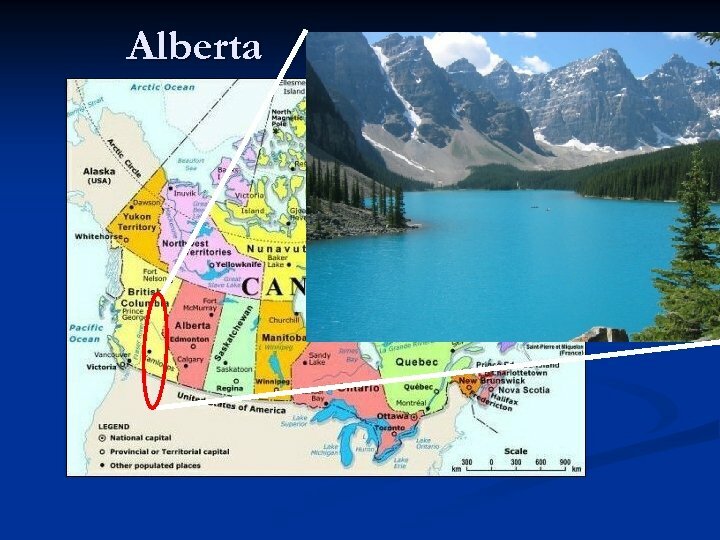 Part. 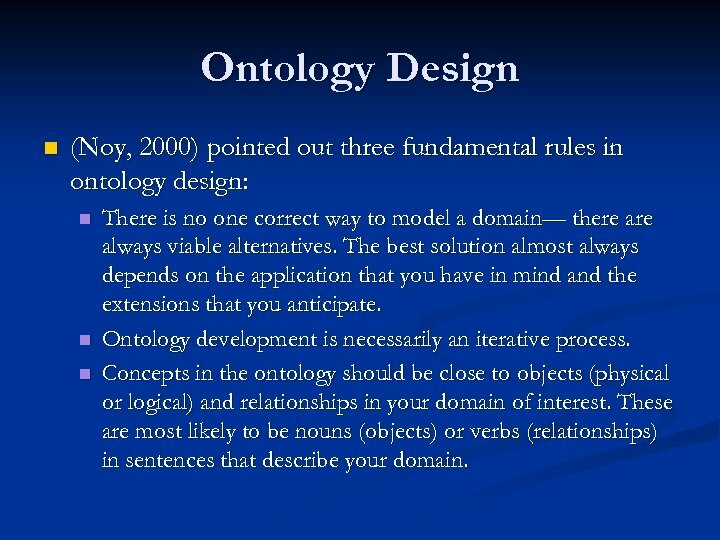 Ontology Design n (Noy, 2000) pointed out three fundamental rules in ontology design: n n n There is no one correct way to model a domain— there always viable alternatives. The best solution almost always depends on the application that you have in mind and the extensions that you anticipate. 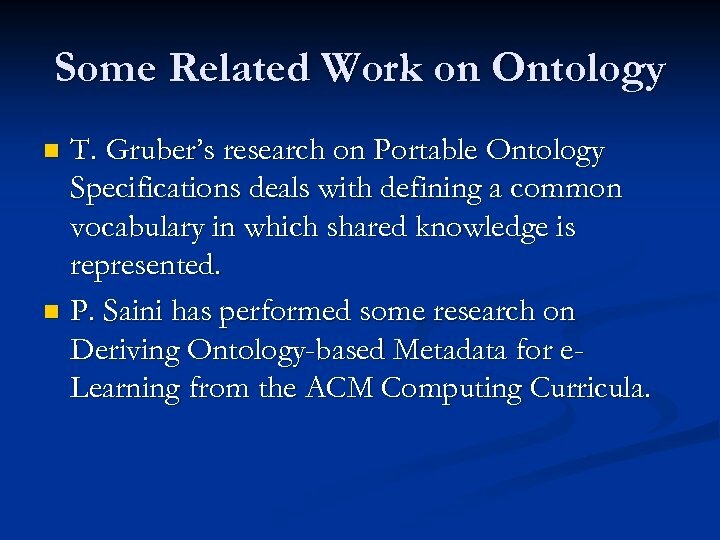 Ontology development is necessarily an iterative process. 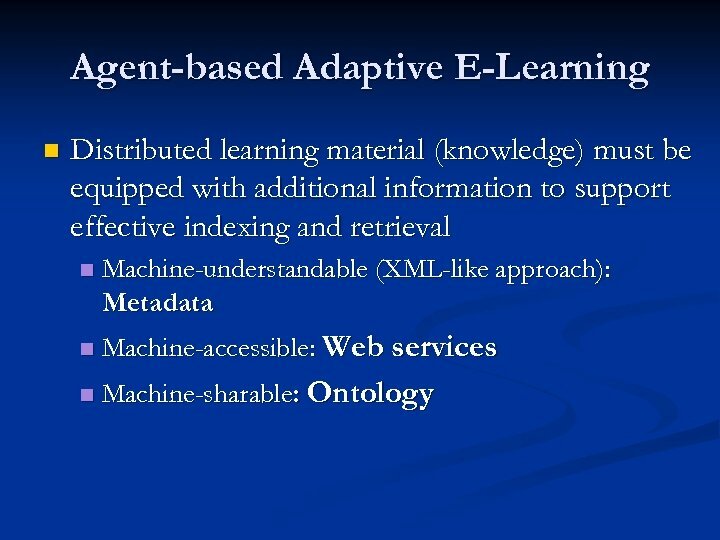 Concepts in the ontology should be close to objects (physical or logical) and relationships in your domain of interest. 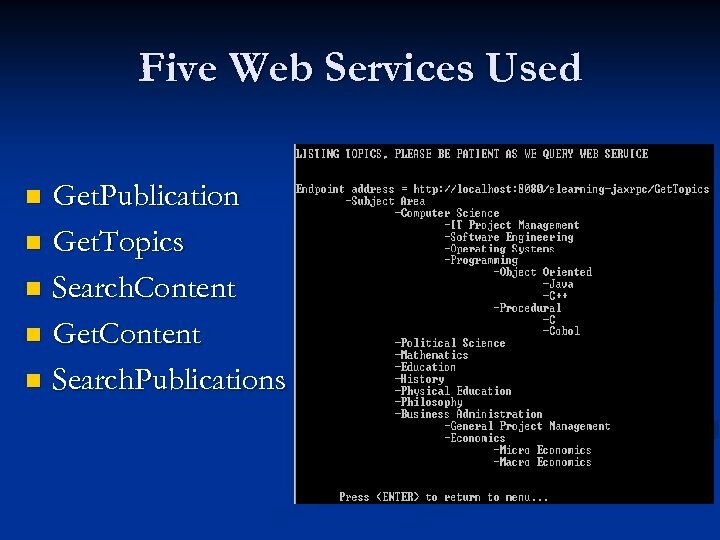 These are most likely to be nouns (objects) or verbs (relationships) in sentences that describe your domain. 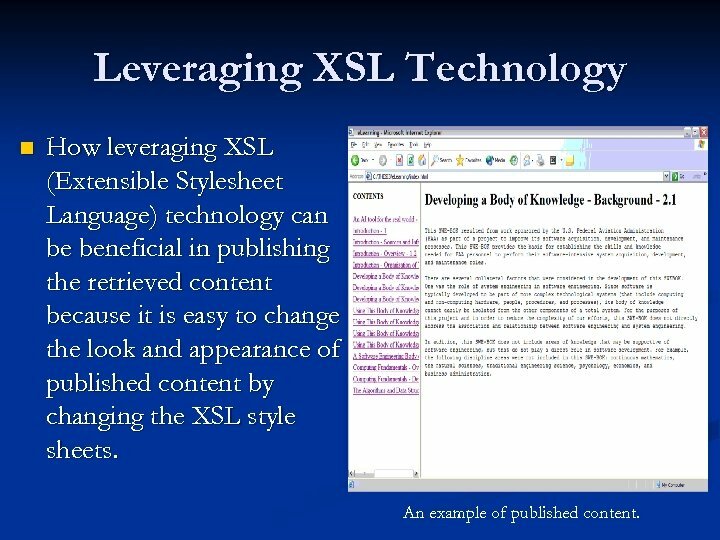 Leveraging XSL Technology n How leveraging XSL (Extensible Stylesheet Language) technology can be beneficial in publishing the retrieved content because it is easy to change the look and appearance of published content by changing the XSL style sheets. 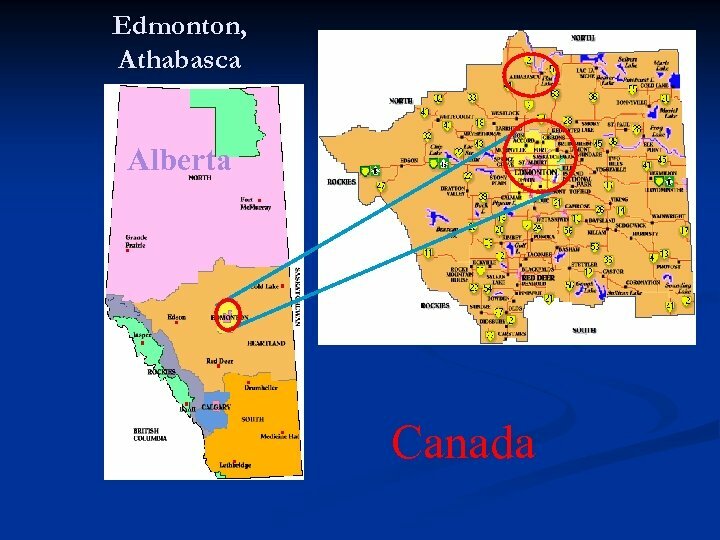 An example of published content. 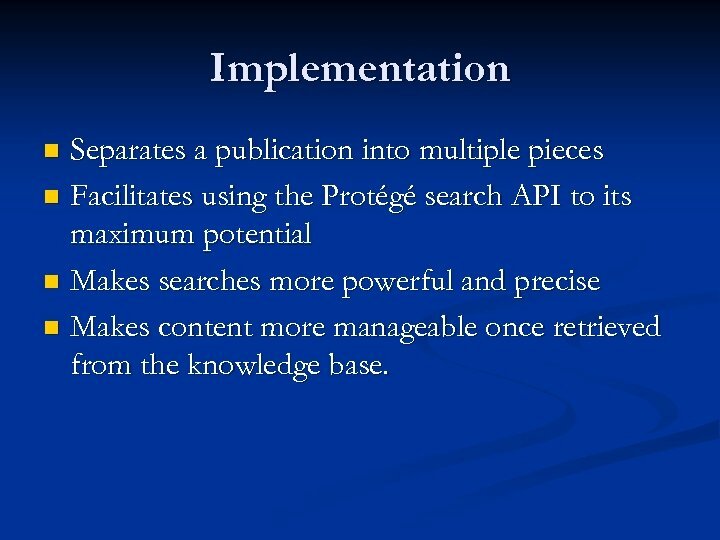 Conclusions n n n Protégé 2000 is flexible and open enough to extend the Protégé API with Web Services Protégé 2000 supported the functions required for this project to search a knowledge base. 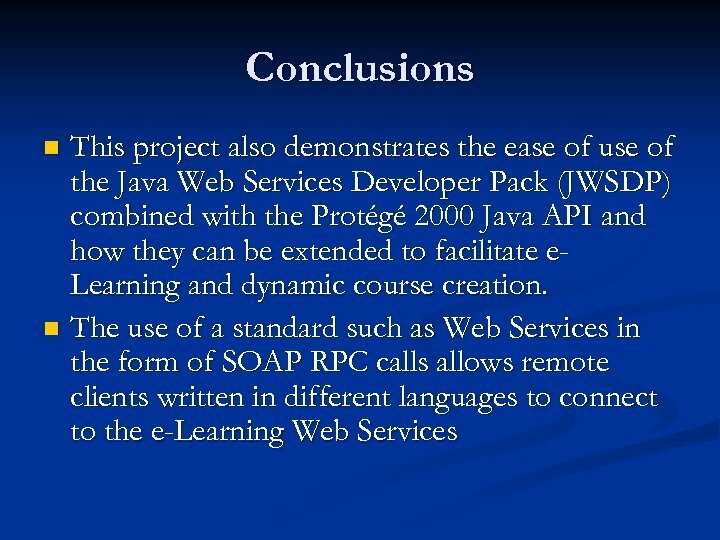 RPC-style Web Services were chosen for this project because this type of service should be used within an enterprise, when there is reliable and high bandwidth, for short running business process, and when there is a trusted environment. 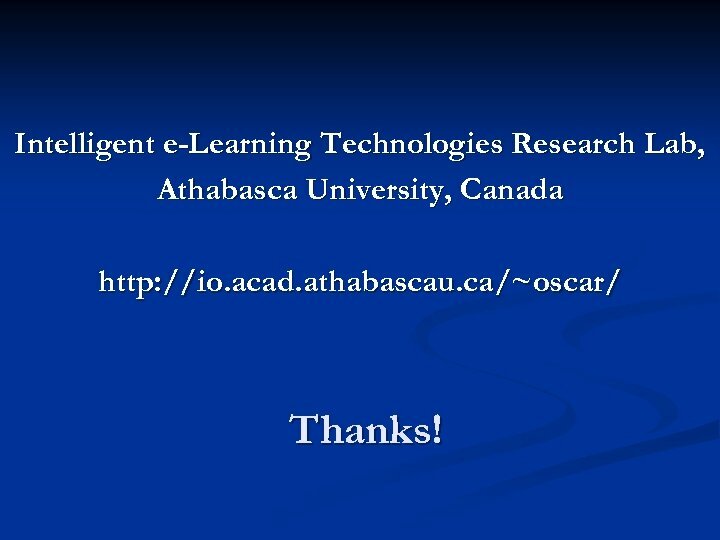 Intelligent e-Learning Technologies Research Lab, Athabasca University, Canada http: //io. acad. 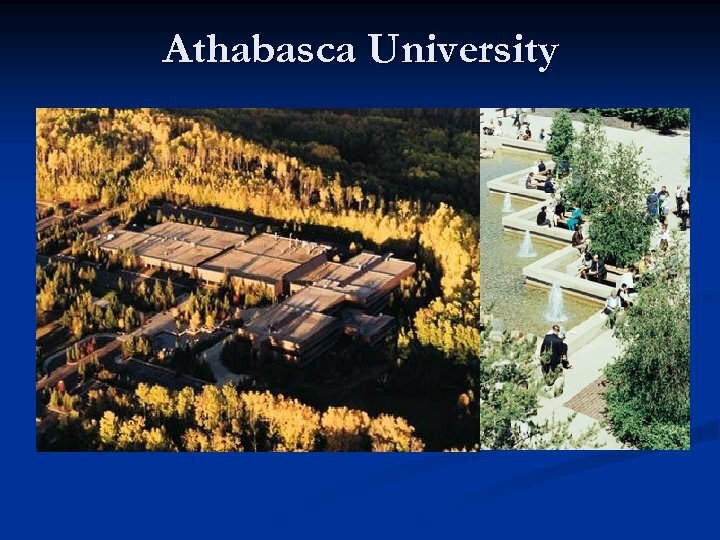 athabascau. ca/~oscar/ Thanks!